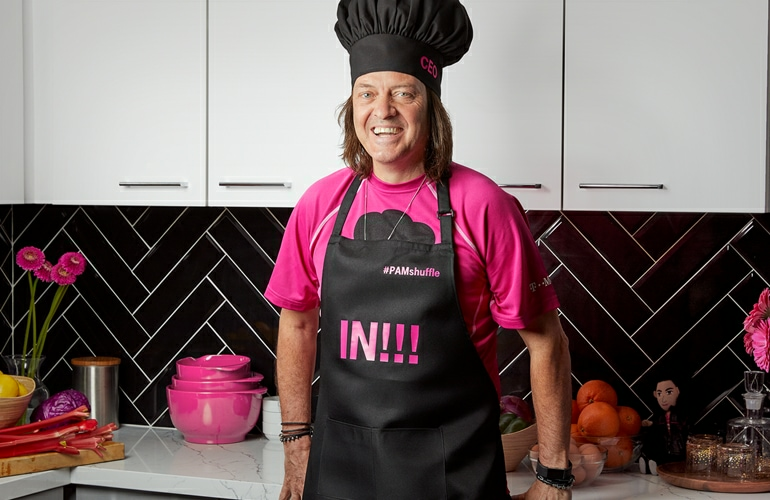 T-Mobile is committed to providing products and services that meet a variety of communication needs. T-Mobile will provide accessible support for wireless network service and billing inquiries. Please contact our Accessibility Customer Care at 1-844-375-8107 if you have any questions or need special assistance. For additional support, please contact Customer Care. For media requests, commercial questions, or customer service inquiries, visit our visit our Contact Us page. 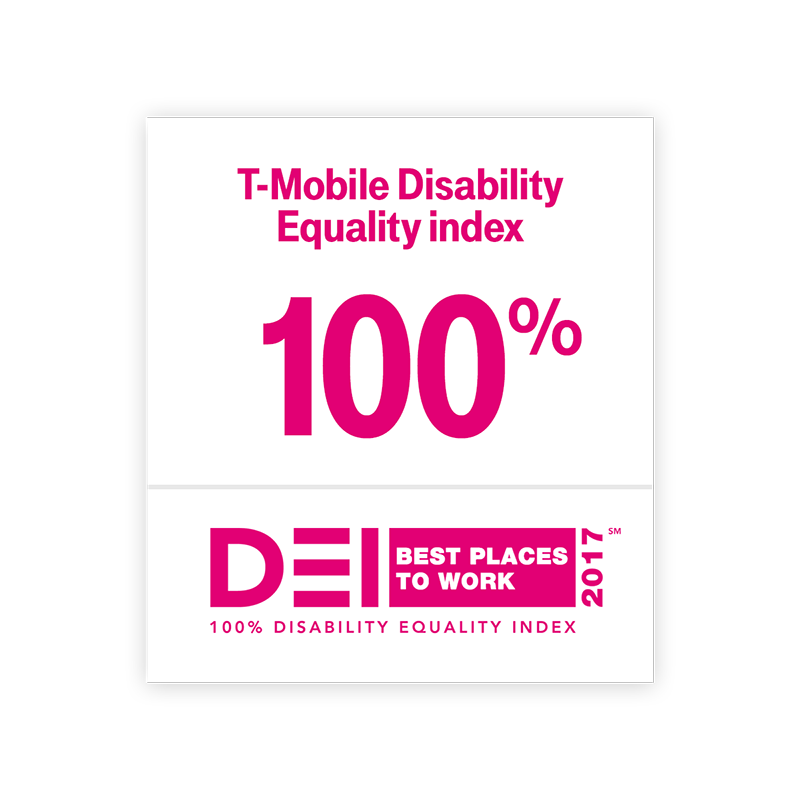 T-Mobile received its first 100 percent score on the Disability Equality Index (DEI), making T-Mobile a Best Place to Work for Disability Inclusion. The index is a rigorous benchmark of inclusion practices administered by the U.S. Business Leadership Network and the American Association of People with Disabilities. In its third year, the index recognizes companies that are advancing their disability inclusion efforts to people with disabilities throughout their workforces, marketplaces, and supply chains. T-Mobile is one of only 68 companies to score 100! T-Mobile offers accessible services and device options supported by the following operating systems. 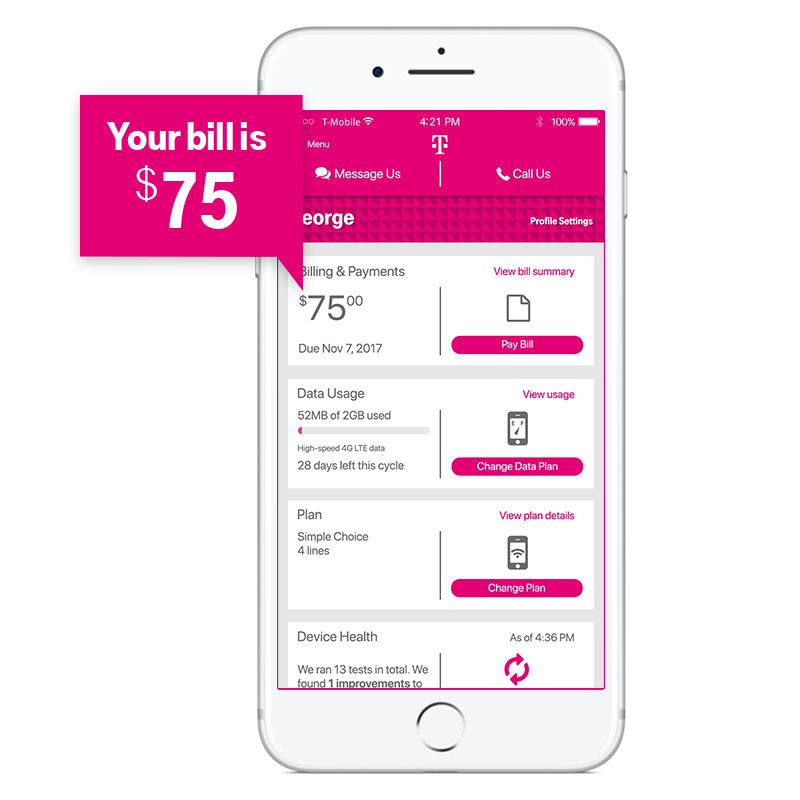 T-Mobile's billing statements are provided online at my.tmobile.com and are accessible to the visually impaired using readily available reading programs. T-Mobile also offers alternate printed billing options. For more information please contact Accessibility Customer Care at 1-844-375-8107. For more information about the Directory Assistance Program or other accessibility benefits T-Mobile offers, our Customer Care department is available to assist you. Customer Care is available between 3:00 a.m. -10:00 p.m. PT, Monday through Sunday, toll free at 1-844-375-8107. Real-Time Text (RTT) provides an alternate way of meeting the communication needs of consumers with disabilities. It provides a more instant transmission and delivery of a message as it is being composed, making it more equivalent to a typical voice conversation. For example, the user may be able to see partial responses and develop a response before the entire message is complete. This can help reduce crossed answers and better connect emergency 911 services in supporting locations. For more information on the benefits of Real-Time Text and the adoption of RTT rules by the FCC, visit FCC RTT Rules Adoption. Please check back for a full list of RTT-enabled handsets and devices, coming soon. Users may be able to reach emergency services by sending an SMS text message to 911 from their mobile phones or devices, depending on where they reside. You will receive a bounce-back message if 911 text service is not available. When possible, the FCC encourages users to first contact 911 via voice call because text-to-911 is not available everywhere. For more information on text-to-911 service by the FCC and what locations the service is available in, visit FCC Text to 911: What You Need To Know. T-Mobile offers a wide range of handsets to meet seniors' needs. From flip phones to affordable smartphones and premium phones, T-Mobile can help you find the right phone for you. For more information check out T-Mobile phones. T-Mobile offers products that can help monitor your location and safety and keep tabs on your family. For more information about products that support location services, visit T-Mobile SyncUP DRIVE. 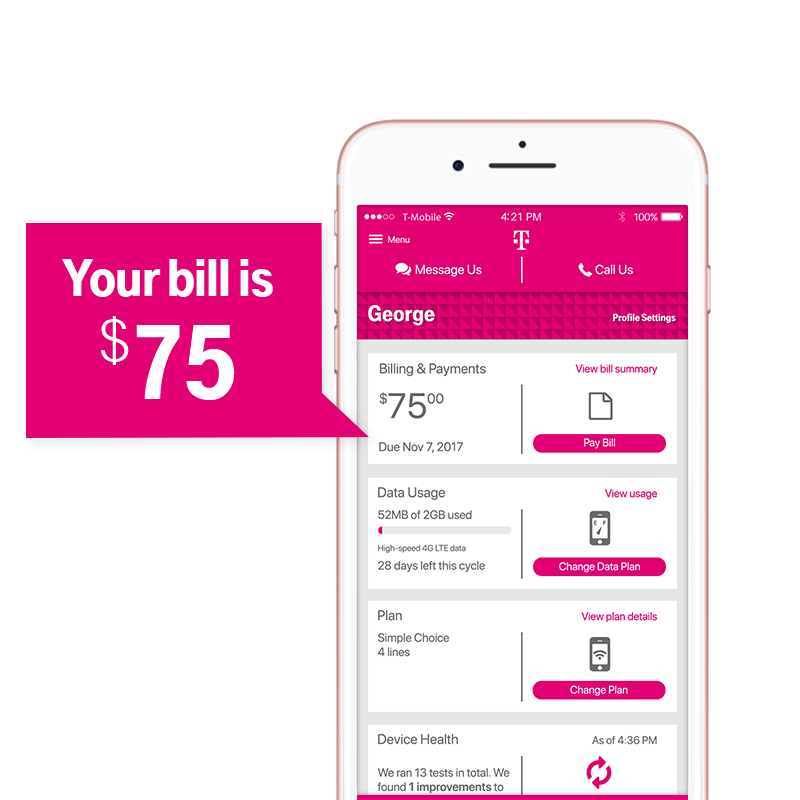 T-Mobile's billing statements are provided online at my.tmobile.com and are accessible to the visually impaired using readily available reading programs. T-Mobile also offers alternate printed billing options. For more information, please contact Accessibility Customer Care at 1-844-375-8107. There are several virtual personal assistants available on today’s mobile devices that work hard to make life easier.